HAWAII HONOLULU / WAIKIKI ALOHA! 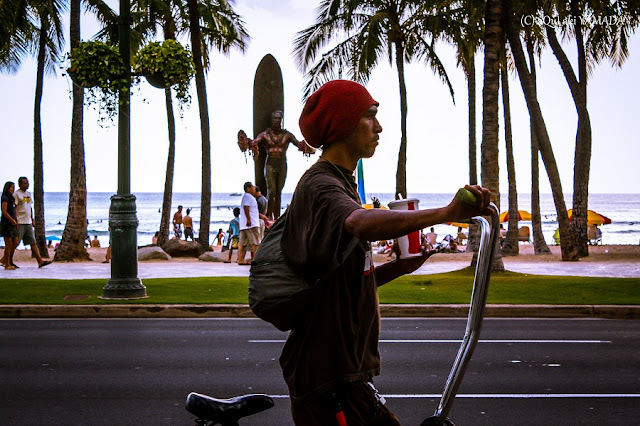 Waikīkī (/waɪkiːˈkiː/; Hawaiian: [vɐjˈtiːˈtiː, wɐjˈtiːˈtiː]) (also known as Waikiki Beach) is a beachfront neighborhood of Honolulu, on the south shore of the island of Oʻahu, in Hawaii, United States. Waikiki is most famous for Waikīkī Beach, but it is just one of six beaches in the district, the others being Queen's Beach, Kuhio Beach, Gray's Beach, Fort DeRussy Beach and Kahanamoku Beach. 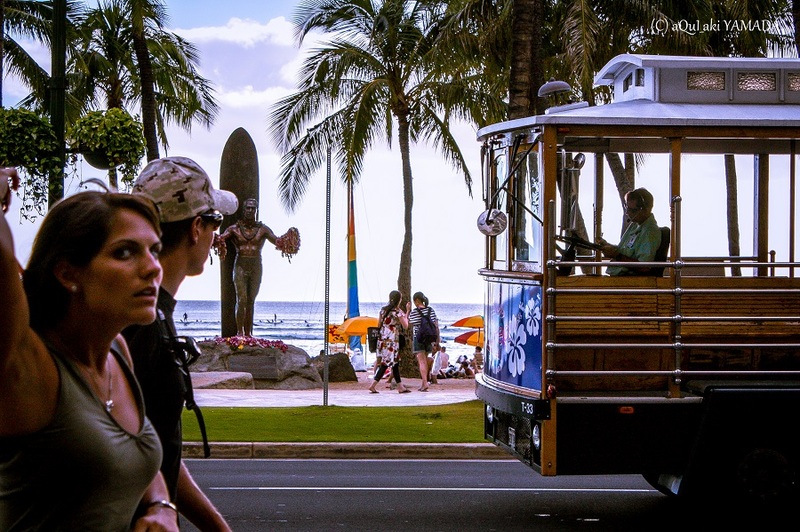 Waikīkī's main thoroughfare is Kalakaua Avenue, named after King Kalakaua, which houses most of the high-end hotels (Royal Hawaiian, Sheraton, Hyatt, Moana Surfrider Hotel), most of the luxury designer brand stores (Apple Store, Chanel, Louis Vuitton, Prada, Burberry, Dior, Tiffany & Co., Fendi, Cartier, Gucci, and Coach) and popular surf clothing brand stores (Quiksilver, Billabong, Volcom). 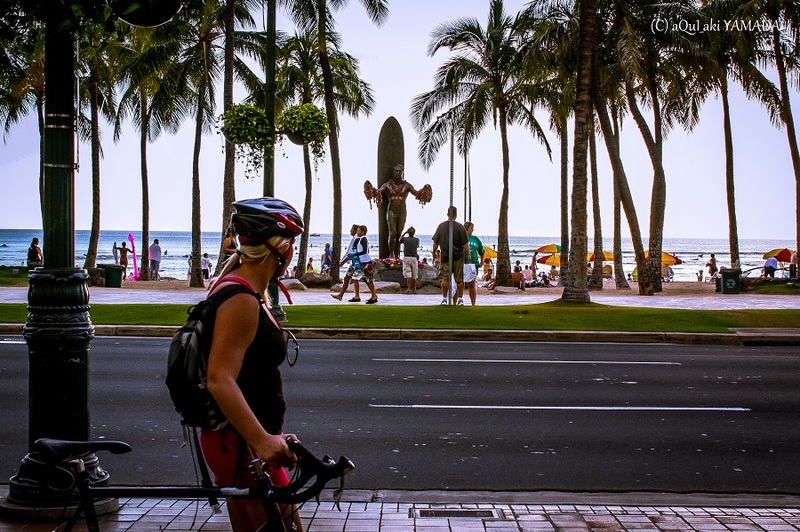 Waikīkī's other main thoroughfare, Kuhio Avenue, named after Prince Kuhio, is better known for its restaurants, cafes and grocers, along with its clubs, nightlife and prostitution.